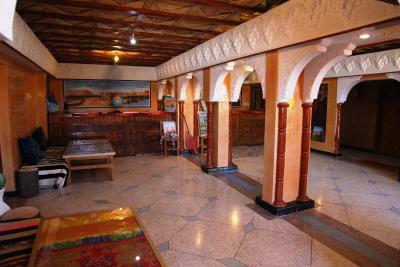 Charming Moroccan interiors and exceptional hospitality and warmness of the staff at reception and restaurant. Fantastic view from the room. 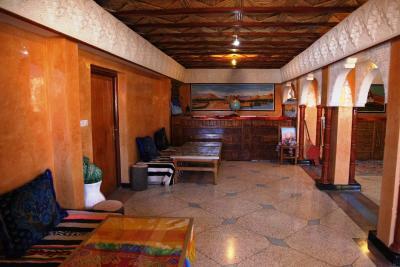 Quadruple room is large, ensuite and has 1 double and 2 single beds and with a balcony. Sleeps 5 easily. Dinner was superb. We had the poulet au citron which was their speciality and it was delicious. The staff at restaurant put up an impromptu drum performance for us. Fantsatic wifi as well. Overall a 5 star experience for us. 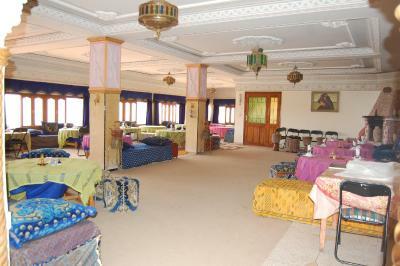 Spacious room, live traditional Berber music after dinner. Biker friendly - offered me some space for my motorbike in a secure place. Wi-Fi available in most hotel areas. Really good stuff, very friendly and the entourage is very great ! 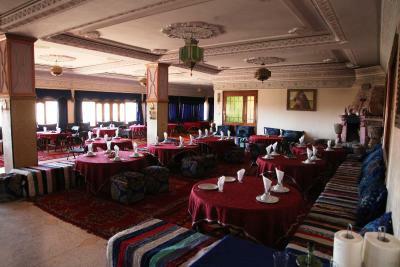 Very knd staff, delicious meal, confortlable rooms. We arrived late in the evening. We had not eaten yet. It was really nice that we could still eat dinner. Thank you! 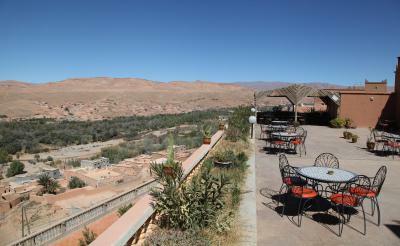 Nice place to get some rest on your way to Merzouga. 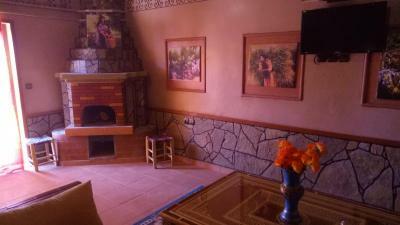 Beautiful panoramic view of the mountains, nice and friendly staff, clean rooms with AC and bathroom with hot water. 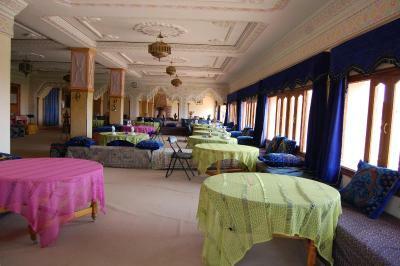 The room was absolutely beautiful. It was spacious, the bed was comfortable. There was a balcony with a gorgeous view. At dinner, which was deliciuos, the staff played drums for the diners. My partner, who is Amazigh, was invited to also play. It was so fun. 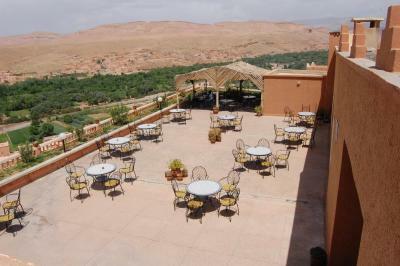 One of our top picks in Boumalne Dades.Located in Boumalne Dades, La Kasbah de Dades offers a terrace with views of the mountains and they valley, and it has a traditional Berber tent. 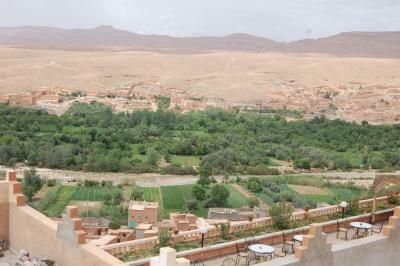 The Dades Gorges are a 1-hour drive away. 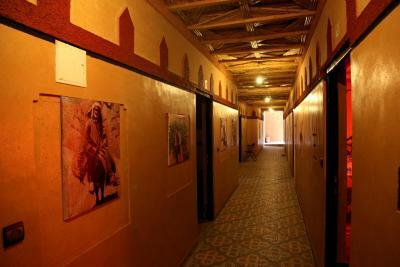 Decorated in a modern Moroccan style, the air-conditioned rooms feature free Wi-Fi access, wardrobe and desk. The private bathroom includes free toiletries. 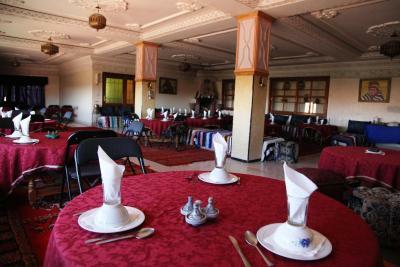 A continental breakfast is available every morning. 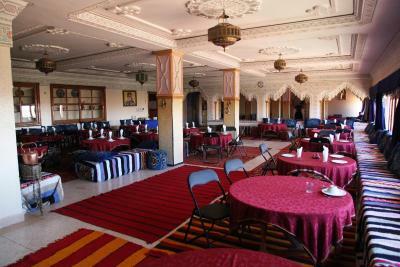 Guests can also sample the local dishes and characteristic Moroccan cuisine in the dining area, upon request. 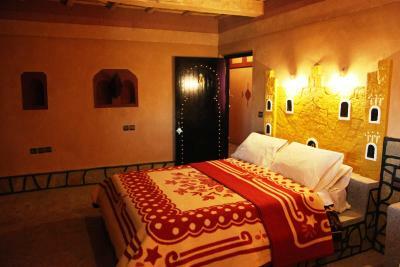 Additional features include the organization of visits into the desert, quad biking and horse and camel riding. 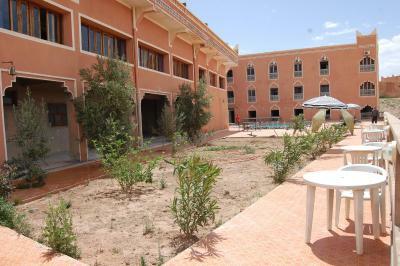 There are also gardens and free private parking is possible on site. When would you like to stay at La Kasbah De Dades? 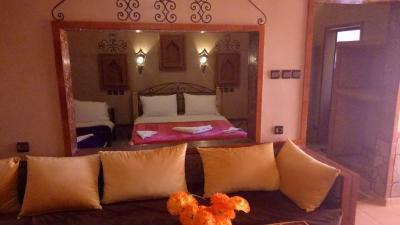 Decorated in a modern Moroccan style, this air-conditioned room features a TV, free Wi-Fi access, wardrobe and desk. The private bathroom includes free toiletries. 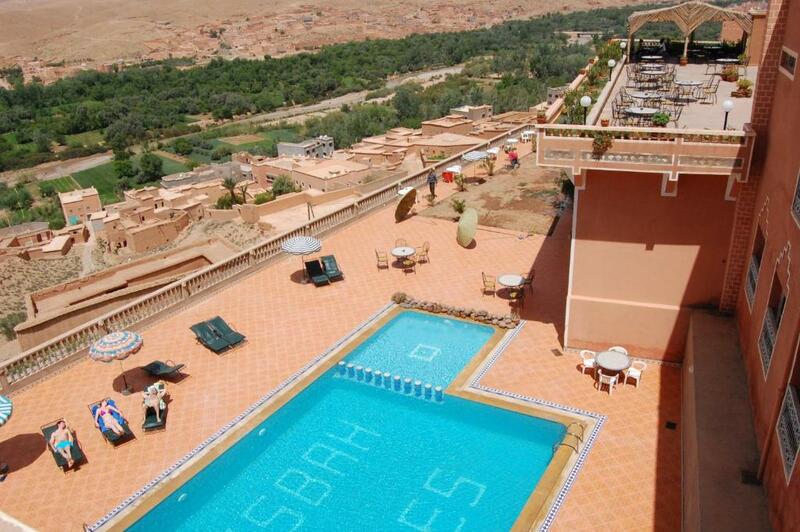 House Rules La Kasbah De Dades takes special requests – add in the next step! 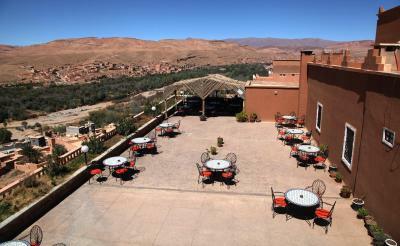 La Kasbah De Dades accepts these cards and reserves the right to temporarily hold an amount prior to arrival. No variety in the menu - you need to pre-order any ‘extras’. Breakfast is poor. There is lots of room for improvement in terms of service. We had a great stay. 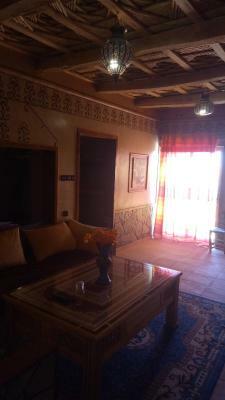 We just looked for a hotel on our way to the desert and found a great place to stay at Dadès Valley. 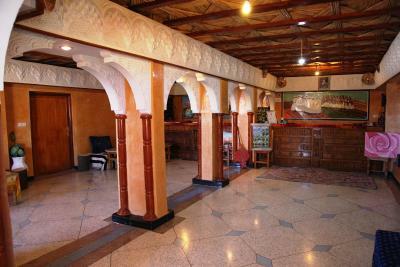 The rooms are well equipped, great panoramic vue for sunrises and at the time of the full moon, super-friendly staff and delicious food for diner and breakfast. 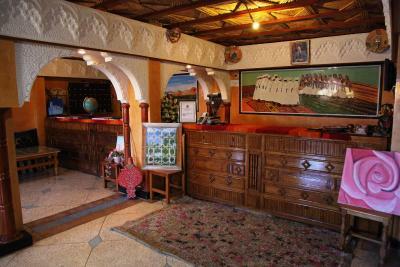 The hotel needs a major renovation. But it is still OK.